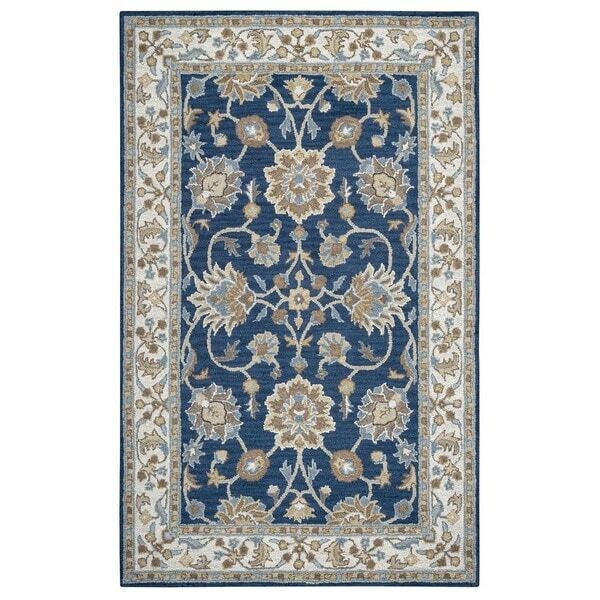 Add traditional style to your contemporary decor with this stunning Crypt area rug. Hand-tufted of soft New Zealand wool, this Oriental-style rug features a navy background with ornate orange and ivory accents. "is this rug true dark navy?"